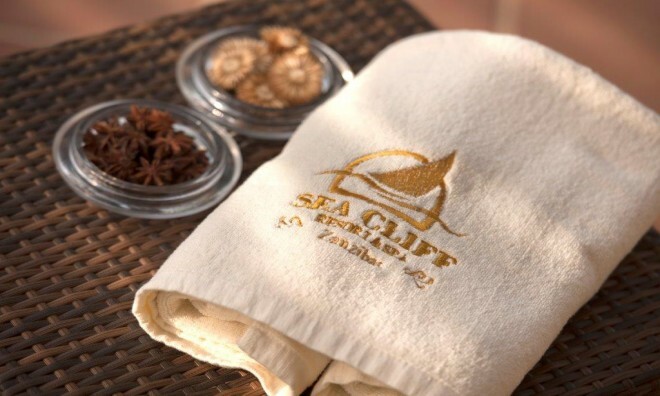 Past a scenic maze of coconut plantations and the umbrellas of palm trees, a Zanzibar Hotel named the Sea Cliff Resort and Spa shares a portrait with the historically rich Arabic towers of Tanzania. This opulent beauty stands 120 rooms above the ground, on the West Coast peering over the precarious Indian Ocean in Mangwapani. The Towers and the rich landscapes form the back drop while the Sea Cliff Resort and Spa takes the place of holiday masterpiece. The Deluxe, Superior and Garden rooms overlook the sea and most rooms offer a multi-dimensional view of the ocean. 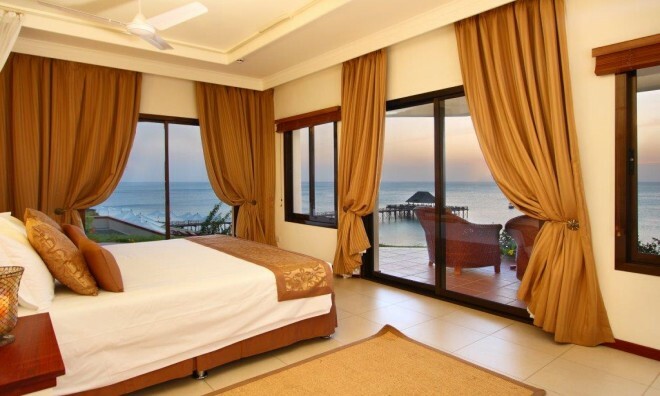 This unedited and unrestricted view can be obtained from the private balconies in the bedrooms. The exquisite decor in the rooms channels the exotic and archaic feel that is reminiscent of Zanzibar but also puts a modern spin to it. With wireless internet and ipad docking station in each room, you can share the view with friends and loved ones no matter where in the world they are. 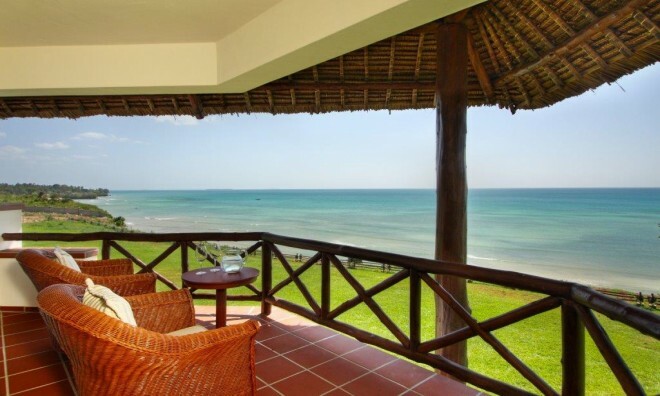 The LCD TV with DSTV channels may find it hard to compete with the horseback riding, volleyball and deep sea fishing that you can do at the Hotel in Zanzibar. 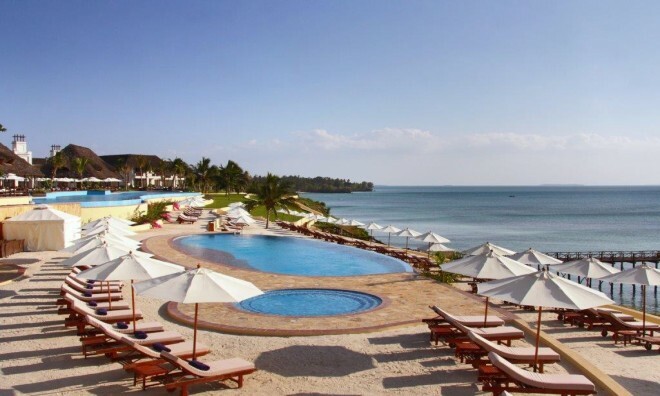 The infinity swimming pools at this Zanzibar Beach Hotel and Resort surrender to the penetrating sun rays of Tanzania. 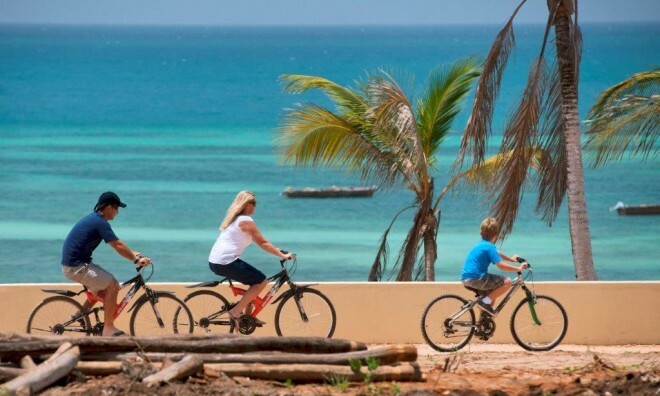 While bike rides maze through the coconut plantation, the jetty bar awaits for a taste of its finest cocktails, drinks and snacks. Three restaurants and four bars give your taste buds a sensual trip. The Shwari spa is the perfect remedy to detoxify and cleanse the strain from the activities of the day. 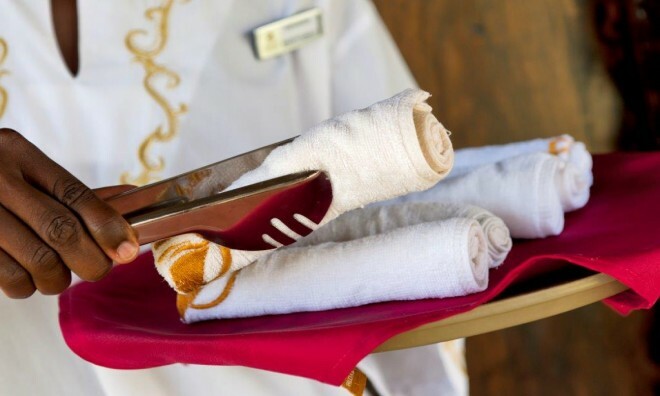 With a private pool, spa gardens, you will get lost in Zen heaven while you get pampered. While you enjoy your Zen bliss, the kids will be caught up in the full-time children's centre with plenty to do. And for those who aren't afraid to go shirtless the Zanzibar Hotel has a gym, tennis and squash court. Zanzibar International Airport or Abeid Amani Karume International Airport is the main airport on Unguja Island, the main island of Zanzibar. 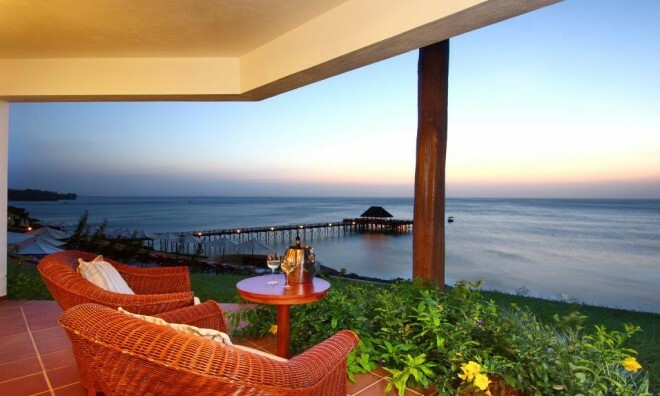 It is about five kilometres from Zanzibar City which is Zanzibar's capital. Kisauni Airport was its previous name and it was renamed in 2010 in honour of Abeid Amani Karume, the first president of the island. The airport has a capacity for 1.5 Million passengers. 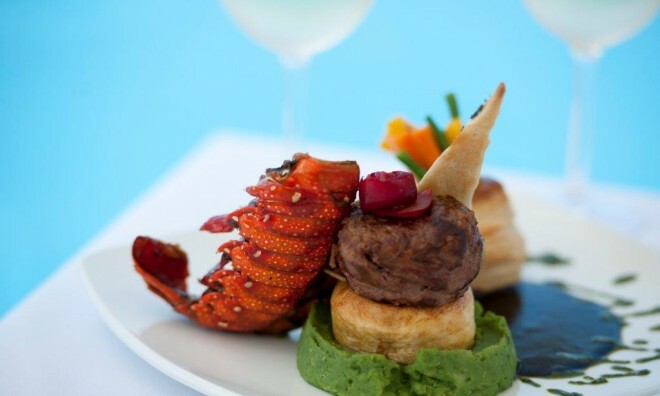 Why not share your experiences and reviews with the community and write a review for Sea Cliff Resort and Spa. Congratulations to Johann and team for the opening of 6 Degree South, a new trendy restaurant in Stone Town, Zanzibar. 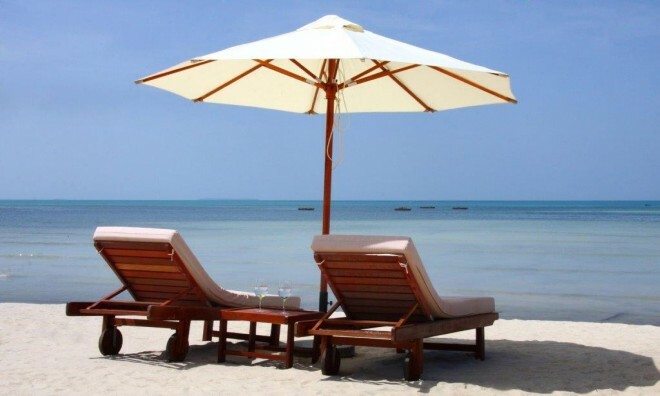 Copyright Discover Zanzibar a division of Discover Travel Spectrum (Pty) Ltd • All Rights Reserved 2009 - 2019.